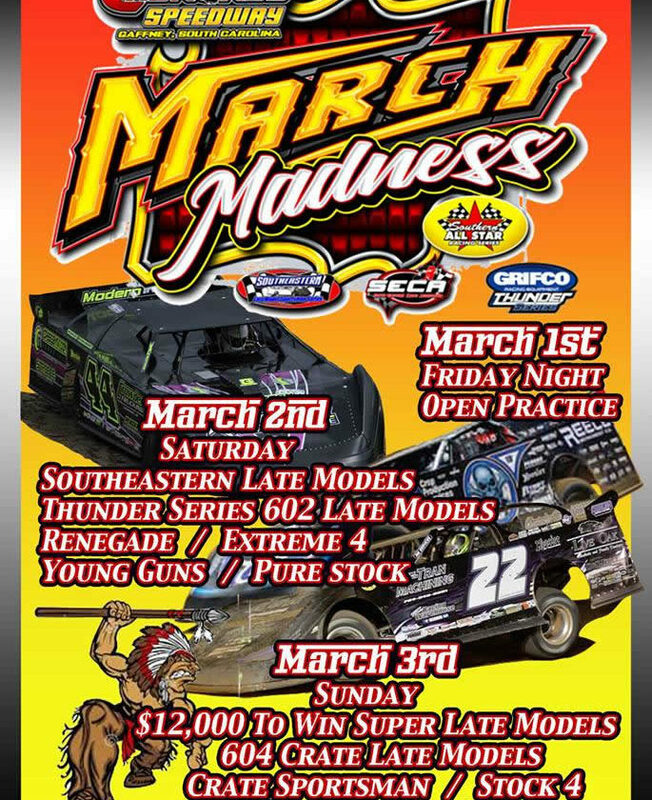 COCHRAN, GA—The Southern All Star Dirt Racing Series opened up the 2016 season Saturday & Sunday at Chris Martin’s Cochran Motor Speedway with a pair of 50 lap $5,000 to win events, and two Georgia drivers took the wins, Appleton, GA., driver Brandon Overton and Casey Roberts of Toccoa, GA., scored the wins. Brandon Overton started on the outside pole and then passed pole sitter Casey Roberts on the eighth lap and then survived 8 more cautions to score his career first Southern All Star win. Overton held on to the top spot even though he got challenged a few times by former Southern All Star champion Dale McDowell of Chickamauga, GA., who finished in the second spot, Casey Roberts who started on the pole slipped up and finished in the third spot, fourth place went to Jordy Nipper of Gray, GA., who was back in Southern All Star action for the first time in a few years and fifth place went to three time Southern All Star champion Riley Hickman. 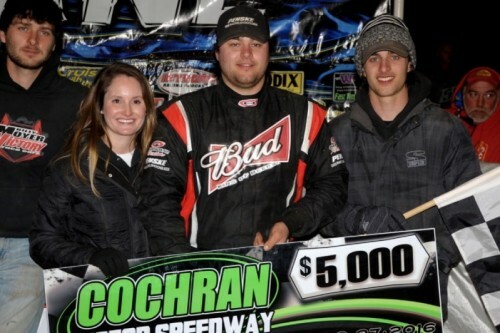 Sixth place went to Bo Shirley of Boaz, AL., from 11th, seventh to Cody King, eighth to Ashton Winger who drove the final few laps with right front suspension damage, ninth place was Brian Ligon and tenth went to 15 year old Ahnna Parkhurst in her first career start with the series. In Sunday action Casey Roberts took the to the lead at the top of the green over outside front row starter Riley Hickman and then proceeded to lead the 50 lap event from start to finish to get his 6th career Southern All Star win. Roberts had to work his way through lapped traffic and this allowed second place driver Dale McDowell to make a challenge, but he could never get around Roberts. Then on lap 47 McDowell blew a tire and out of the race, this moved Riley Hickman into a second place finish, third to Brandon Overton, fourth to Jordy Nipper for his second top five of the weekend and fifth to Hunter Peacock. 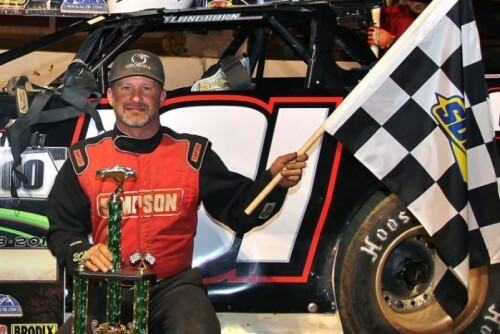 Finishing in the sixth spot was Dillon Tidmore who returned after his car caught fire Saturday, seventh to Brad Skinner in his first year with the series, eighth place to Todd Morrow, ninth to Joe Armistead and tenth to Jay Elliott. SOUTHERN ALL STAR POINTS STANDINGS:1.Brandon Overton 194; 2.Casey Roberts 194; 3.Riley Hickman 186; 4.Jordy Nipper 184; 5.Dale McDowell 164; 6.Todd Morrow 160; 7.Ahnna Parkhurst 158; 8.Brad Skinner 158; 9.Dillon Tidmore 158; 10.Hunter Peacock 154.